Dr Sultana Khanum was a Commonwealth PhD Scholar at the University of Keele between 1990 and 1994, and she returned to the UK as a Commonwealth Academic Fellow at the University of Manchester for six months in 2003. 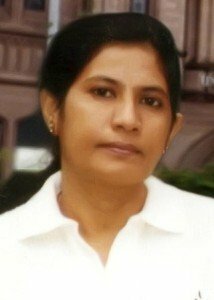 She has been a Professor of Sociology at the University of Rajshahi, Bangladesh, since 1999 and in this role has conducted extensive research on women and health, with a particular interest in health issues affecting the Bangladeshi and British Bangladeshi populations. Through the establishment of a link programme with the University of Manchester and involvement in government initiatives, she has contributed towards improving the teaching and research capabilities of the University of Rajshahi, as well as offering consultancy services to a number of ministries in Bangladesh and international organisations such as the World Food Programme, CARE, United Nations Development Programme, and European Union. She is a member of the Area Review Panel for the Higher Education Quality Enhancement Project (HEQEP) of the Bangladesh University Grants Commission (UGC) and the World Bank, the UGC’s Research and Publication Evaluation Committee, and the editorial boards of The Journal of the Institute of Bangladesh Studies and The Social Science Journal.